Though it’s located on the Island of Ireland which is commonly referred to as the Republic of Ireland, Northern Ireland is considered an entirely separate entity and not part of Ireland. Though Northern Ireland is constituent nations that make up the United Kingdom of Great Britain, the country is Independent of Great Britain and therefore has its own separate gambling laws. Even though Northern Ireland is part of the United Kingdom, the country is not governed by the Gaming Act of 1968 which is the law that brought legal gambling to Great Britain. Because Northern Ireland has its own laws in place gambling law in Northern Ireland is regulated instead by the Betting, Gaming, Lotteries and Amusements Order of 1985. 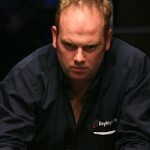 At current, live poker is against the law in N.I. There were some that believed that Northern Ireland was bound by the British law mentioned above, however, a police raid on a poker tournament being played in 2004 at the Cavendish Club in Belfast pretty much made the countries stance on live poker games crystal clear. The club was raided by police, all gaming equipment was seized. Professional men, including doctors, lawyers, and other various business men were arrested, and the club closed down. In Northern Ireland, it is illegal to make a bet with anyone under the age of 18, although the legal age for football pool betting is 16. You must be at least 16 to purchase tickets for a public lottery. Also, you must be 18 or older to play on a fruit machine with a cash payout of 10 pounds or greater. There is no lower age limit to play on a fruit machine with a maximum prize of up to 8 pounds. 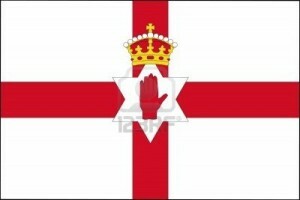 At current live poker games in Northern Ireland are illegal. In fact, private tournaments have been raided by authorities, during such raids both cash and all poker related equipment is seized. 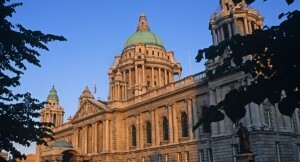 There are petitions circulating throughout Northern Ireland in effort to convince the Government to legalize live poker games in the country. Early 2013 the Northern Ireland Government did announce plans to revamp local gambling laws; however, there was no mention of legalizing live poker, or regulating online poker. Poker players were actually relieved to be left out of the new regulations however, as it looks as though the local Government is set on regulating and further eliminating gambling, not expanding and finally categorizing poker as a skill game so that residents can legally play in local live cash games and/or poker tournaments. At current, all gambling in Northern Ireland, with the exception of the National Lottery, be it poker, blackjack, slots, or any other sort of gambling is regulated by the Betting, Gaming, Lotteries & Amusements Order of 1985; which is regularly referred to as “The 1985 Order”. So, we can safely say that at this time, it’s not legal to play live poker in Northern Ireland. If that changes, we’ll update this page as soon as possible. In the meantime, residents of Northern Ireland are not left entirely without options when it comes to playing poker either professionally, or as a form of entertainment. Poker players in Northern Ireland are able to visit The Republic of Ireland and play poker in places such as Dublin, or play poker from home at one of many online poker sites that accept Northern Ireland poker players. The currency used in Northern Ireland is the same as is used all over Britain, the Pound Sterling (£). The following online poker sites accept players from Northern Ireland and allow both deposits, and live poker play in GBP’s. Thus far poker deposit options are pretty readily available to residents of Northern Ireland. Given the amount of options available, the best way to choose your poker deposit method is to figure out how you use your deposit transaction provider, and then compare the options available. For instance, if you tend to make more withdrawals than deposits, you’ll want to find a transaction processor that charges either no fee at all, or the smallest available fee for withdrawals. On the other hand, if you deposit more than withdrawal, then of course its going to be the deposit fees that you’re comparing. 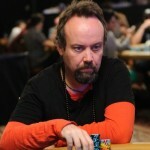 Born as Andrew Black on July 20th 1965, Andy Black learned to play poker from his mom. Black attended Trinity College in Dublin, where he studied law. In 1986, the devout Buddhist began to play poker seriously, playing mostly at the Griffin Casino located in Dublin Ireland.